The auto maker already expects to lose money on the first-generation Volt because of its expensive battery technology and the goal to price it below $40,000. General Motors Corp. does not anticipate a decision to initially source the backup internal combustion engine for the Chevrolet Volt extended-range electric vehicle from Austria, instead of Flint, MI, will add extra cost to the car’s sticker price. GM announced last year plans to build a $370 million engine plant in Flint to supply a 1.4L 4-cyl. engine for the ’11 Chevy Volt and the ’11 Chevy Cruze compact car, both due in late 2010. The auto maker started construction on the 552,000-sq.-ft. (51,282-sq.-m) facility in October but in December suspended major spending on the project, such as steel purchasing, while continuing site preparations. A halt now has been called to all activities in Flint, as GM cancels construction contracts to preserve cash. The auto maker, instead, will source the engines from an existing operation in Aspern, Austria. The engines will be sent to the Volt assembly plant in Hamtramck, MI, and the Cruze facility in Lordstown, OH. GM also wants to keep assembly costs on the Volt as low as possible. The auto maker has said it expects to lose money on the first-generation Volt because of its expensive battery technology and the goal to price it less than $40,000. Shipping engines from another continent for an extended period could prove costly. Spokeswoman Basel says Flint remains the target for North American sourcing of the 1.4L engine, and GM’s plan always has been to initially bring the engine over from Aspern, where it already is built. GM may consider an existing Flint engine plant, instead of a greenfield site as originally planned. Every option will be weighed against the company’s available capital, plant floor space and anticipated sales volumes, she says. Basel also confirms plans remain intact to locate a manufacturing plant in Michigan to assemble the cells into the Volt’s T-shaped battery pack. GM has not yet announced an exact site for the facility. The Volt’s engine is meant to work as a backup generator, providing electricity to the drive wheels after the battery expires. GM believes most drivers won’t travel beyond the battery’s system’s 40-mile (64-km) range during their daily commute and, therefore, rarely need the engine. 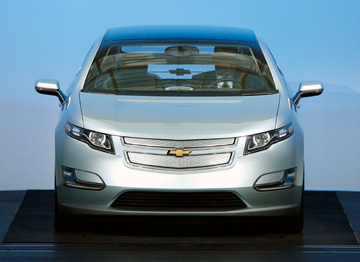 The Volt engine stems from GM’s “0” (zero) powertrain family, which includes 1.0L 3-cyl. and 1.2L and 1.4L I-4 layouts introduced in Europe in 1997 and developed in Russelsheim, Germany.